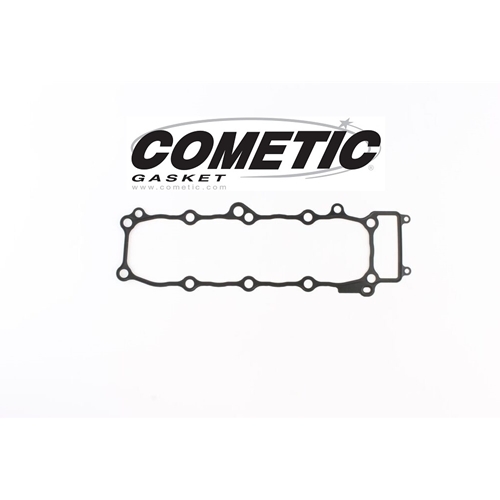 We stock a wide range of Cometic gaskets for ROAD and OFF ROAD applications at up to 10% off! 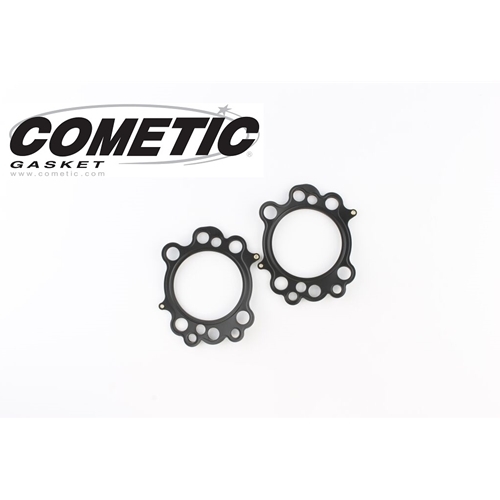 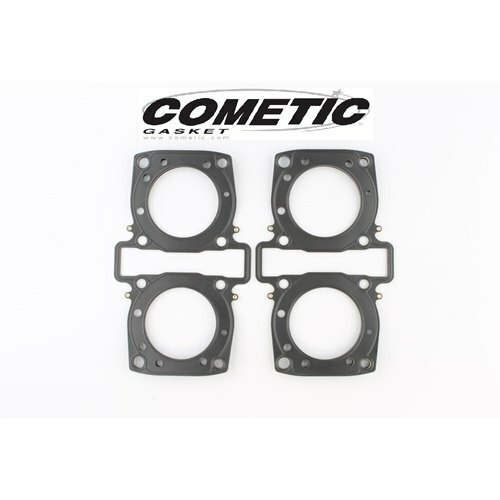 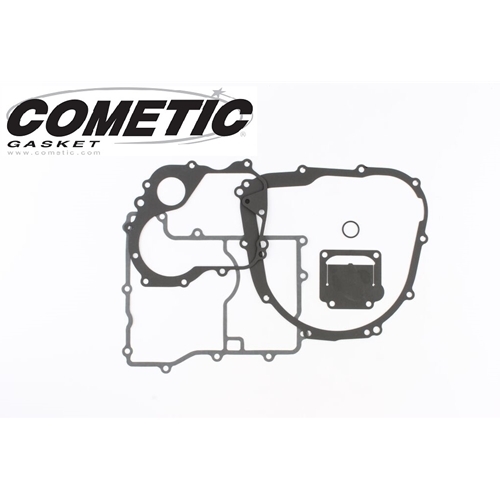 Cometic Base Gasket - #GSXRBASEC837 GSXR 1100 86-92/Spring Steel/ 0.010"/3.370"/3.460"/3.560"
Cometic Head Gasket - #C8265 CBR 600F2 F3 91-98/67mm Bore/618-637cc/0.030/MLS C.O.T. 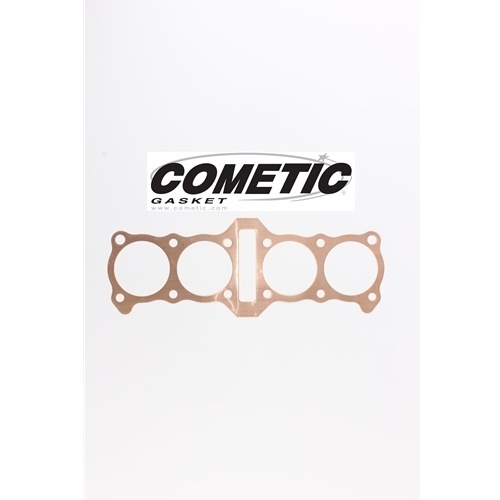 Cometic Head Gasket - #C8265-018 CBR 600F2 F3 91-98/67mm Bore/618-637cc/0.018/MLS C.O.T. 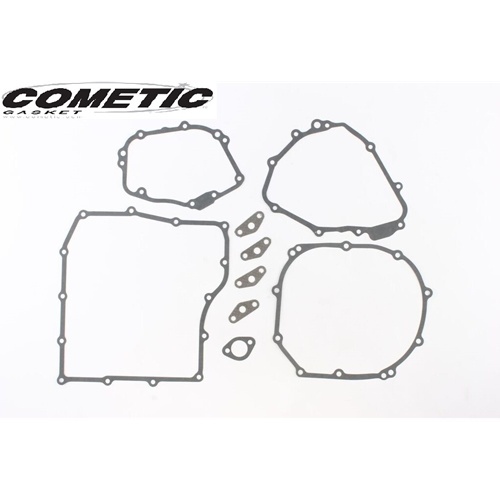 Cometic Head Gasket - #C8267 CBR 900RR Fireblade 93-99/CB 919 02-06/72mm Bore/945cc/0.040/MLS C.O.T. 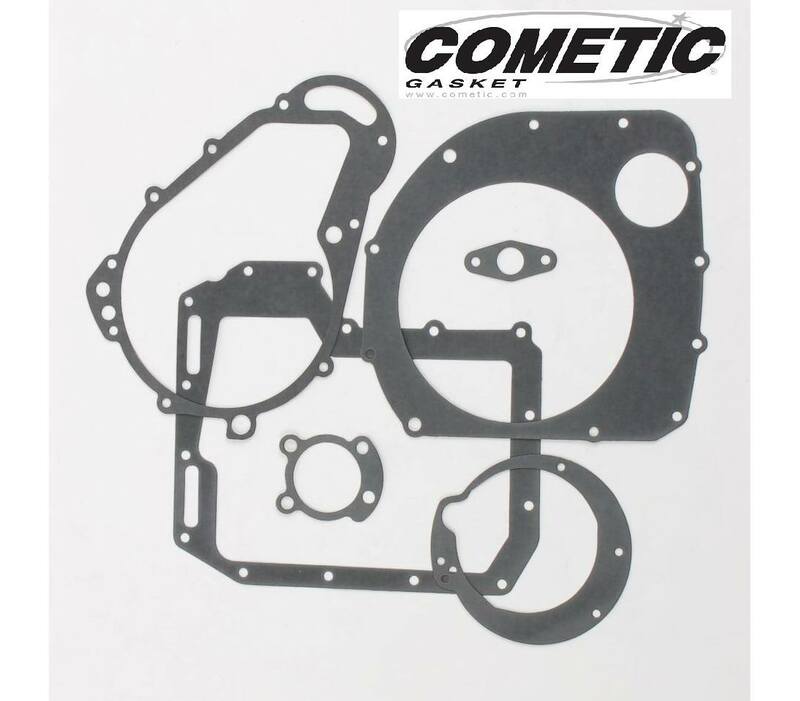 Cometic Head Gasket - #C8267-018 CBR 900RR Fireblade 93-99/CB 919 02-06/72mm Bore/945cc/0.018/MLS C.O.T. 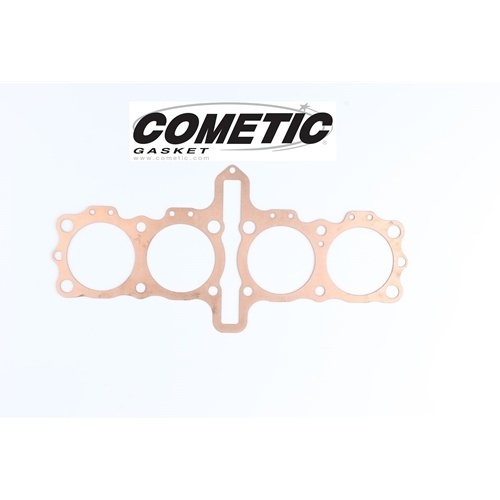 Cometic Head Gasket - #C8268 CBR 900RR Fireblade 93-99/CB 919 02-06/74mm Bore/997cc/0.040/MLS C.O.T. 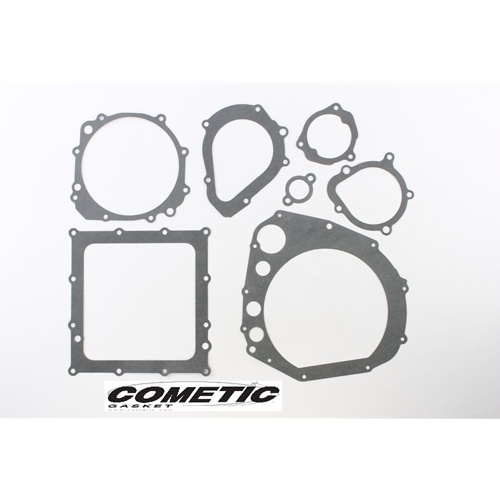 Cometic Head Gasket - #C8268-018 CBR 900RR Fireblade 93-99/CB 919 02-06/74mm Bore/997cc/0.018/MLS C.O.T. 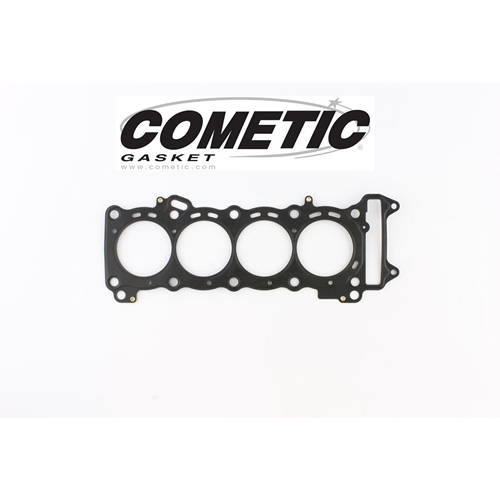 Cometic Head Gasket - #C8499 CBR 1100XX Blackbird 97-03/81mm Bore/1195cc/0.030/MLS C.O.T. 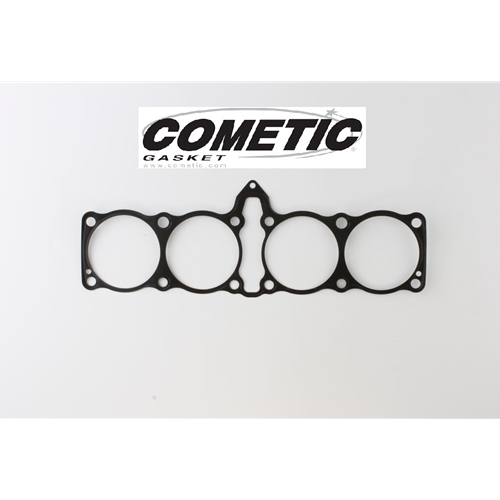 Cometic Head Gasket - #C8499-018 CBR 1100XX Blackbird 97-03/81mm Bore/1195cc/0.018/MLS C.O.T. 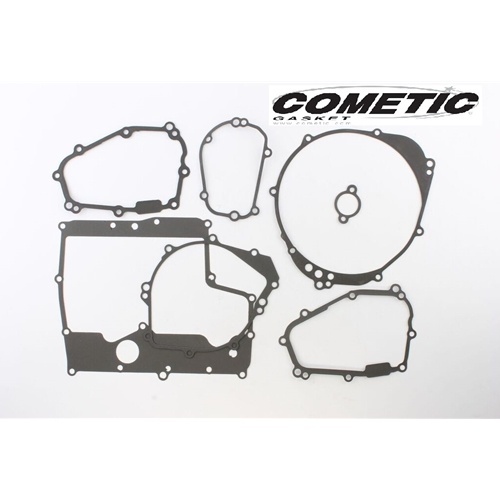 Cometic Head Gasket - #C8401 CBR 900RR Fireblade 93-99/CB 900F 919 Hornet 02-06/73mm Bore/970cc/0.040/MLS C.O.T. 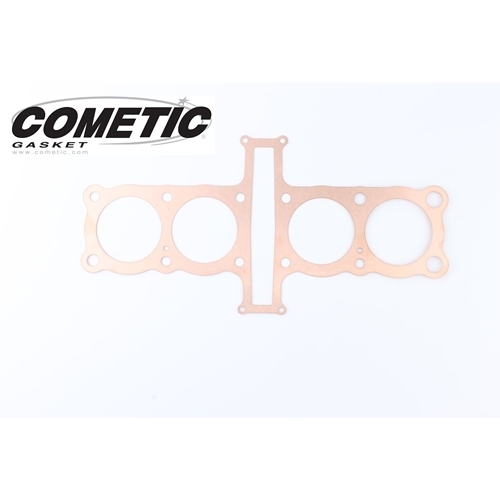 Cometic Head Gasket - #C8401-018 CBR 900RR Fireblade 93-99/CB 900F 919 Hornet 02-06/73mm Bore/970cc/0.018/MLS C.O.T. 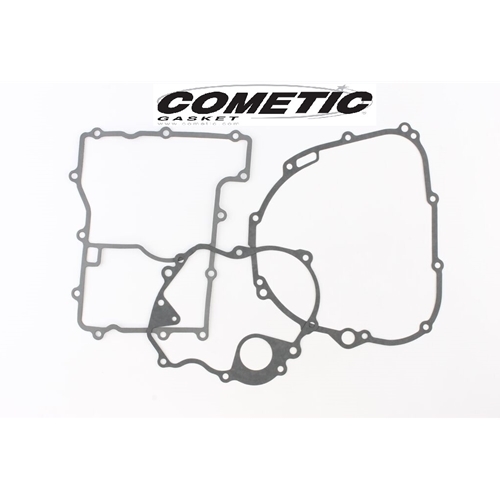 Cometic Head Gasket - #C8406 CBR 900RR Fireblade 93-99/CB 900F 919 Hornet 02-06/75mm Bore/1033cc/0.040/MLS C.O.T. 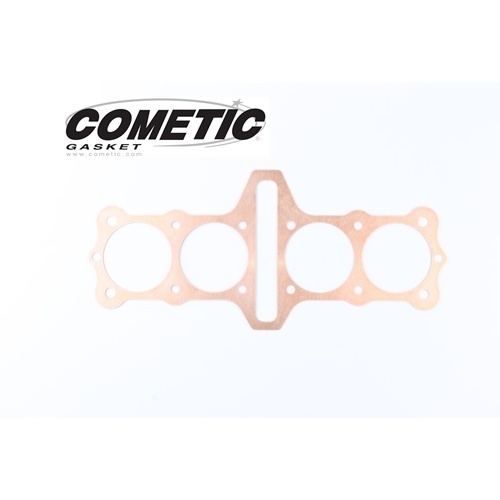 Cometic Head Gasket - #C8406-018 CBR 900RR Fireblade 93-99/CB 900F 919 Hornet 02-06/75mm Bore/1033cc/0.018/MLS C.O.T. 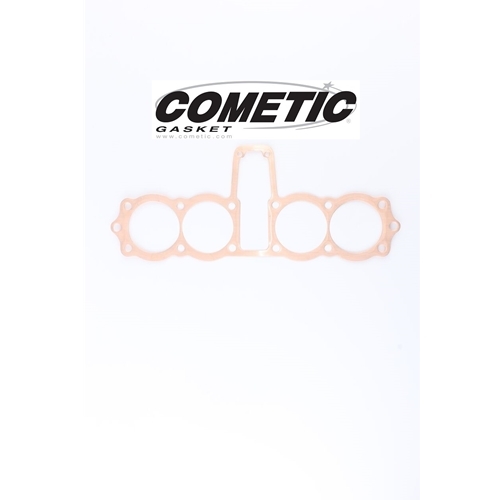 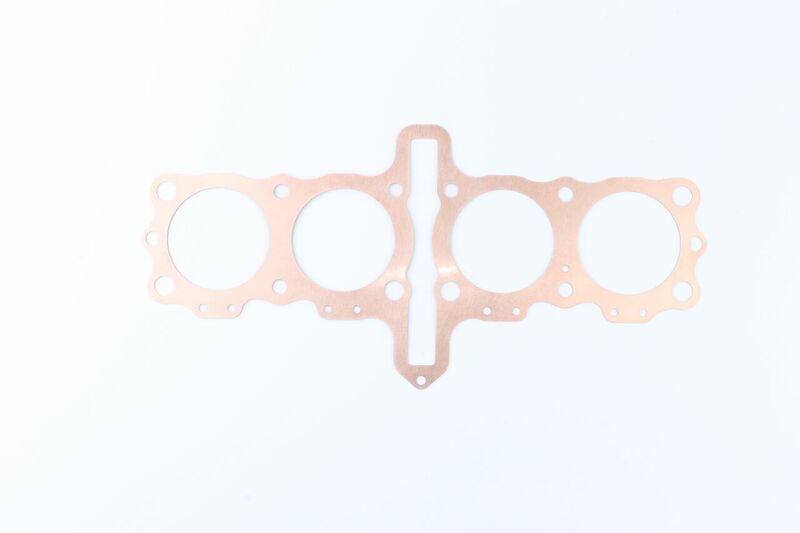 Cometic Head Gasket - #C8427 YZF 600 94-99/2.565 65mm Bore/618cc/0.020/Copper . 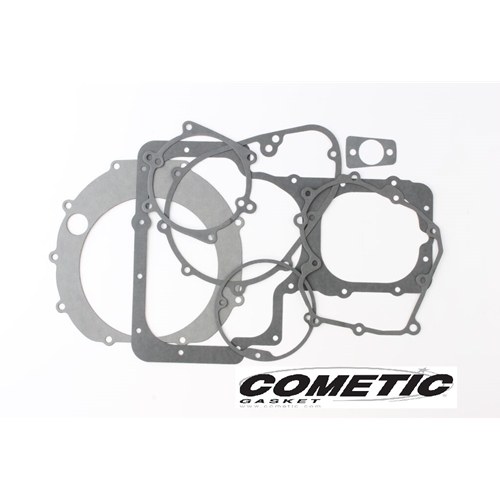 Cometic Head Gasket - #C8568 CBR 929RR Fireblade 00-01/CBR 954RR Fireblade 02-03/980cc/76mm Bore/0.030/MLS C.O.T. 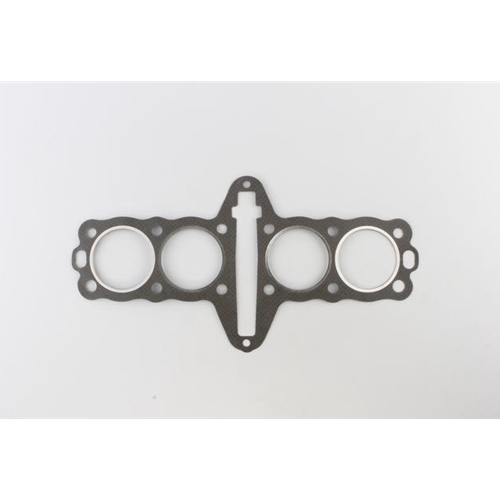 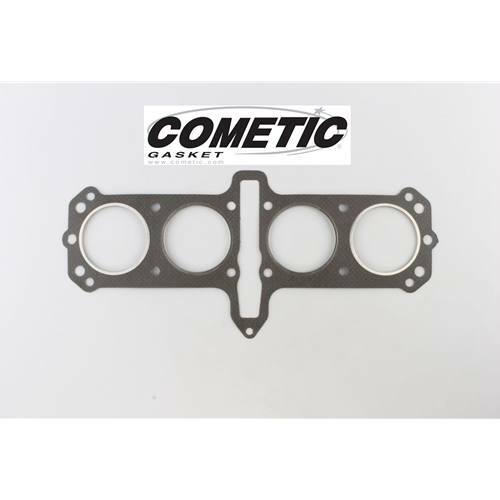 Cometic Head Gasket - #C8568-018 CBR 929RR Fireblade 00-01/CBR 954RR Fireblade 02-03/980cc/76mm Bore/0.018/MLS C.O.T. 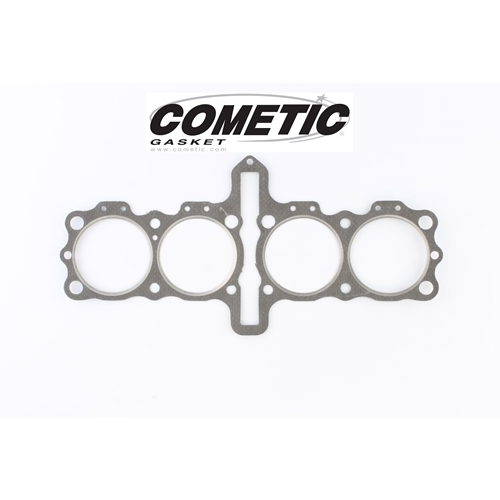 Cometic Head Gasket - #C8572 CBR 600F4 99-06/67mm Bore/599cc/0.030/MLS C.O.T. 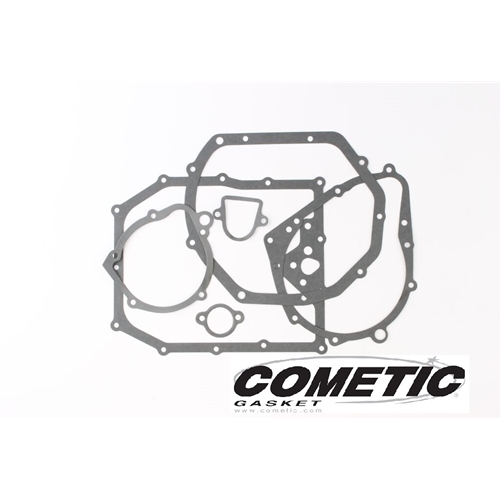 Cometic Head Gasket - #C8384 FZR 1000 89-95/YZF 1000 97/76.5mm Bore/1003-1029cc/0.030/MLS C.O.T. 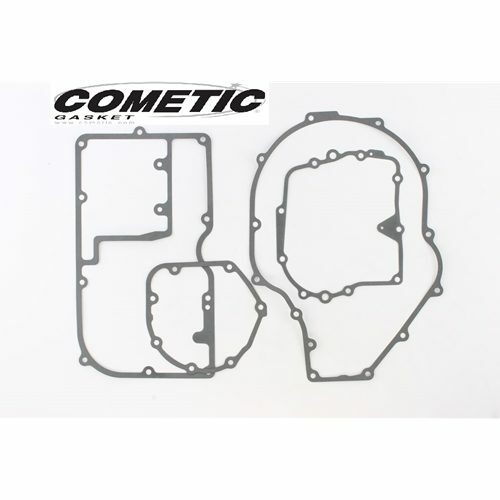 Cometic Head Gasket - #C8388 FZR 1000 89-95/YZF 1000 97/78mm Bore/1070cc/0.030/MLS C.O.T. 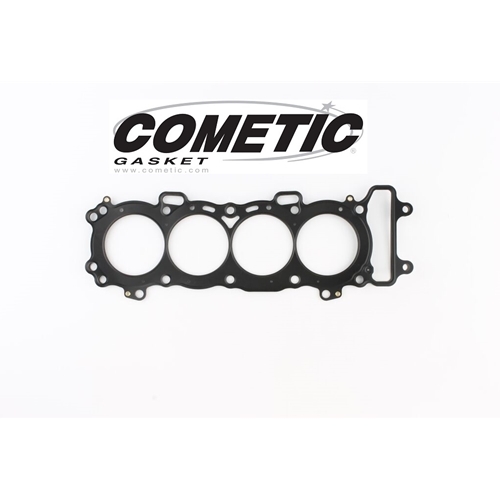 Cometic Head Gasket - #C8535 VMX 1200 V Max/XVZ 1300 Royal Star/85mm Bore/1394-1498cc/0.030/MLS C.O.T. 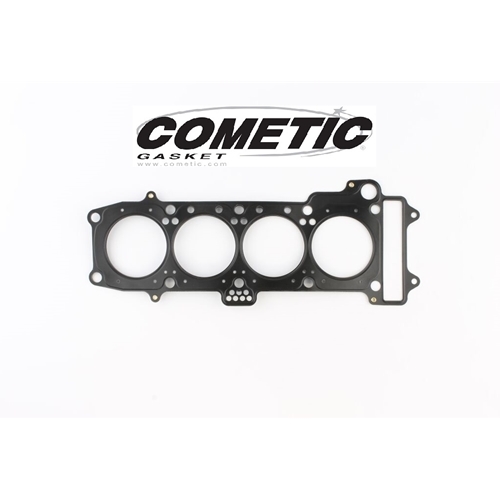 Cometic Head Gasket - #C8536 VMX 1200 V Max/XVZ 1300 Royal Star/80mm Bore/1198-1327cc/0.030/MLS C.O.T. 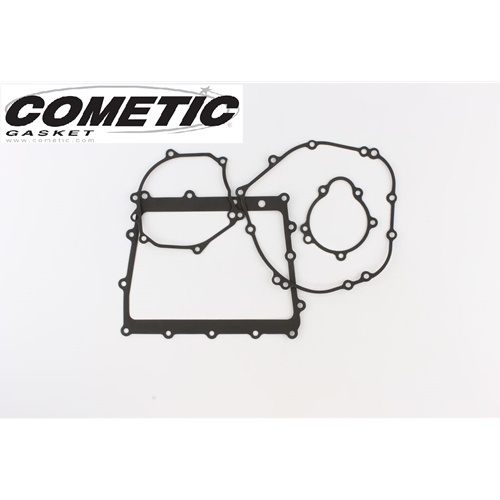 Cometic Head Gasket - #C8562 YZF 1000 R1 98-03/75mm Bore/1000cc/0.027/MLS C.O.T. 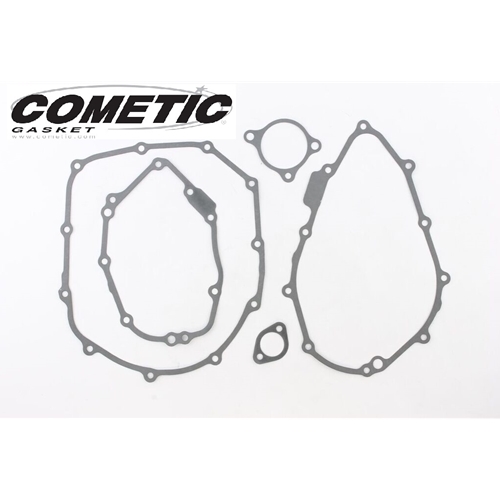 Cometic Head Gasket - #C8563 YZF 1000 R1 98-03/77mm Bore/1054cc/0.027/MLS C.O.T. 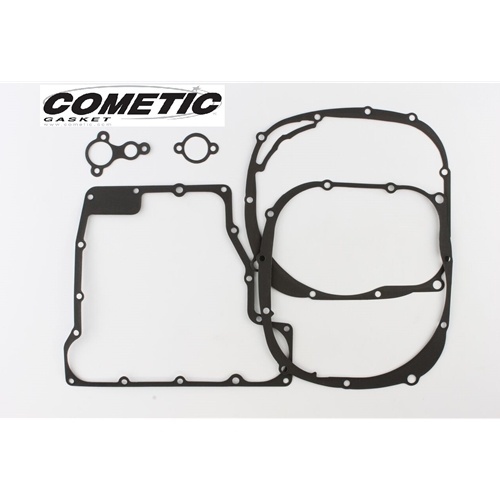 Cometic Head Gasket - #C8575 YZF 600 R6 99-02/68mm Bore/599-646cc/0.030/MLS C.O.T. 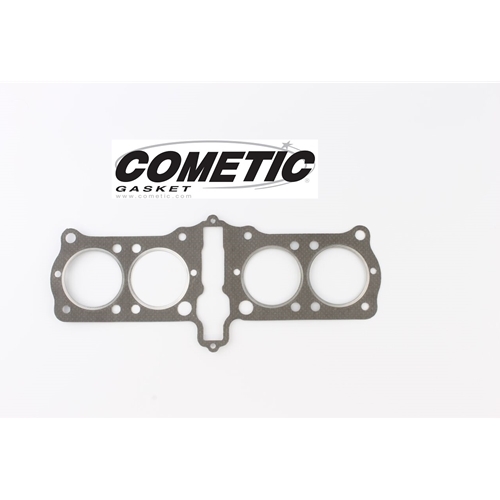 Cometic Head Gasket - #C8575-018 YZF 600 R6 99-02/68mm Bore/599-646cc/0.018/MLS C.O.T. 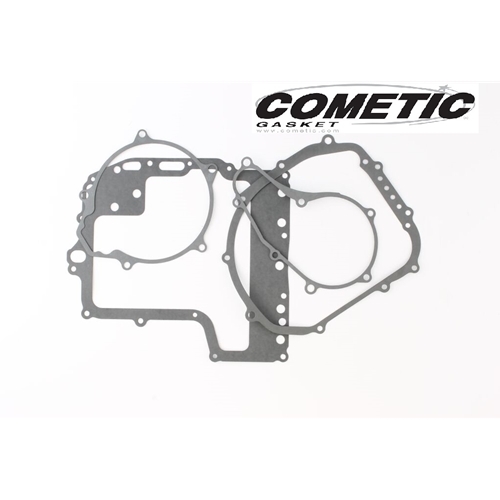 Cometic Head Gasket - #C8283 FZR 1000 89-95/YZF 1000 Thunder Ace 1997/77mm Bore/1040cc/0.030/MLS C.O.T. 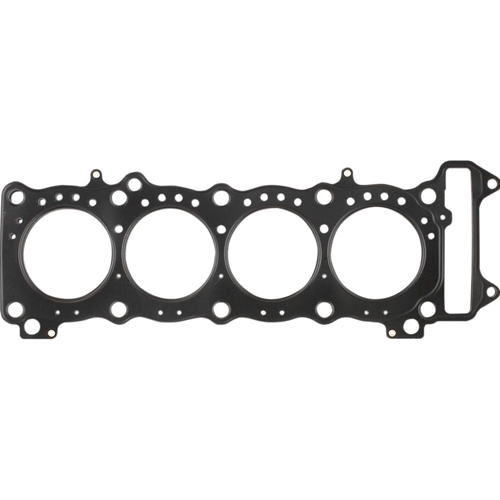 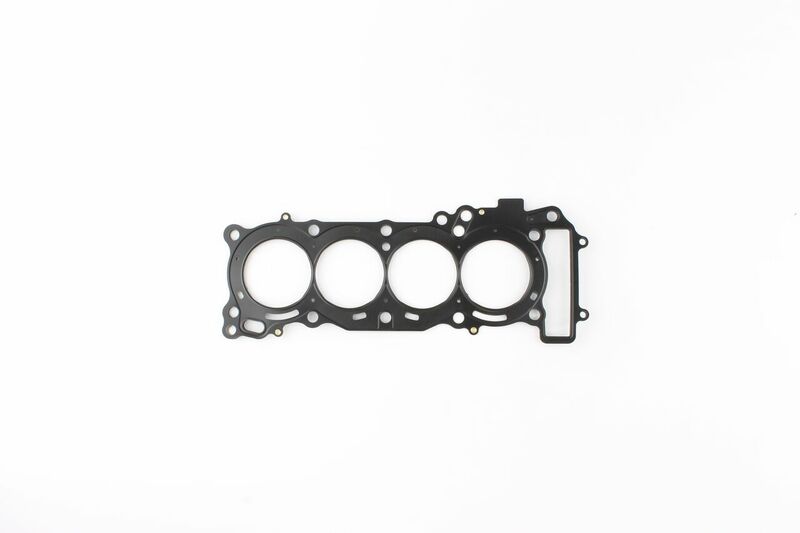 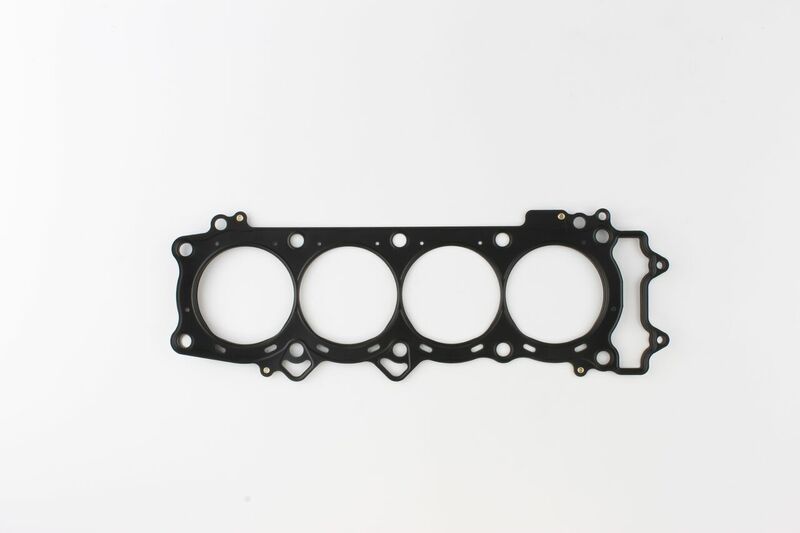 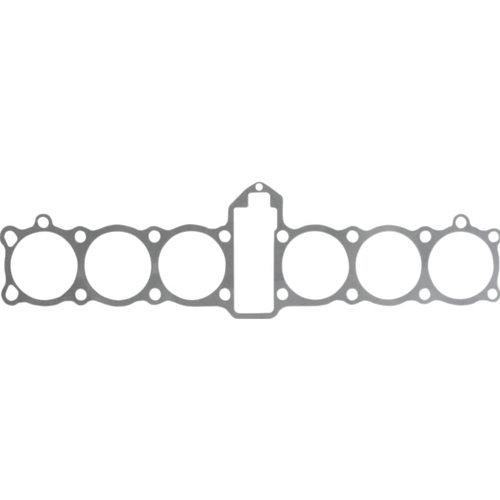 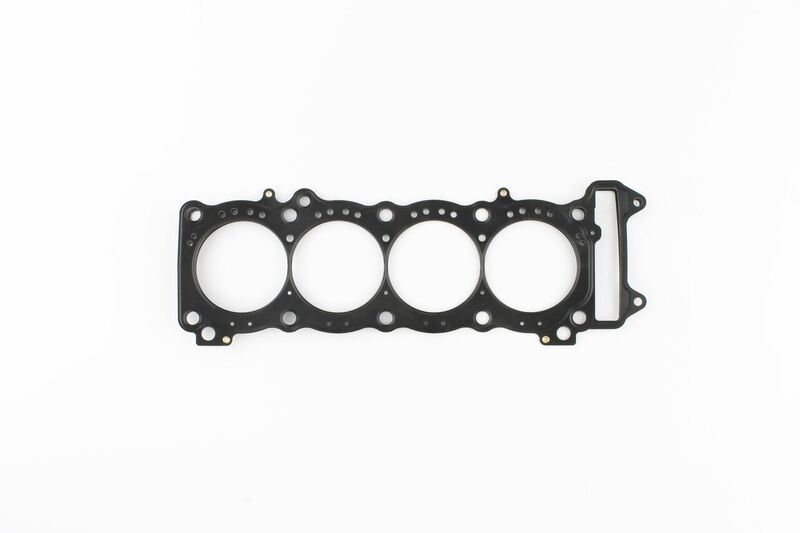 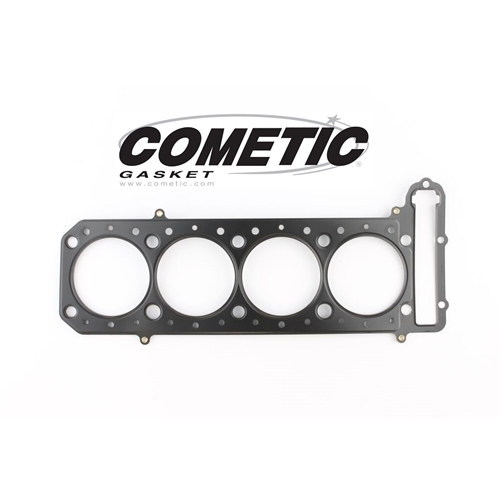 Cometic Head Gasket - #C8285 FJ 1100 1200/77.5mm Bore/1195-1202cc/0.030/MLS C.O.T. 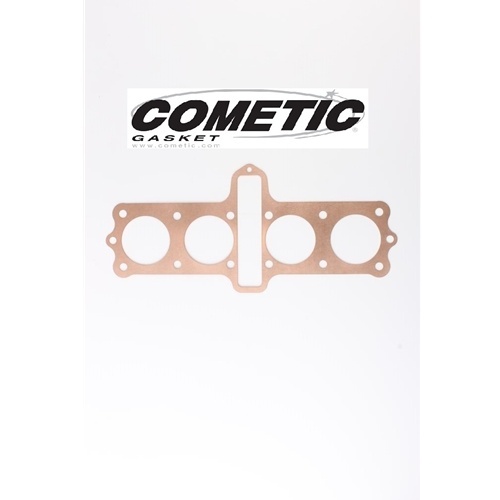 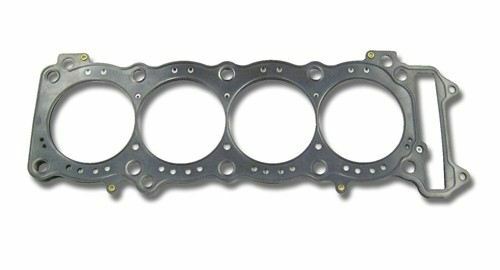 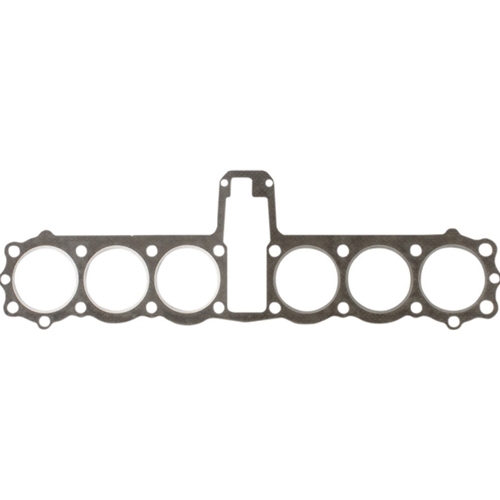 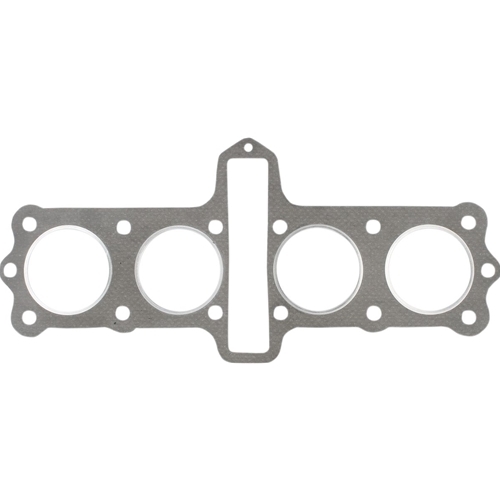 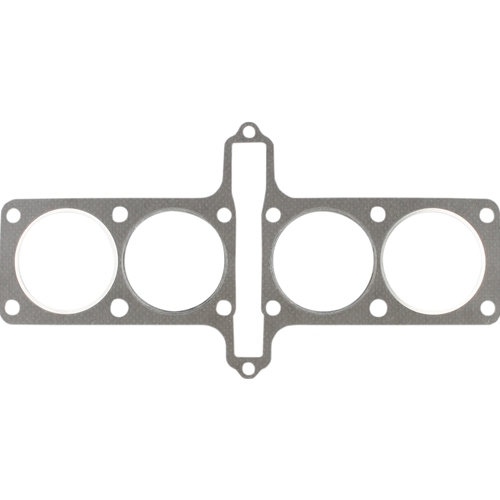 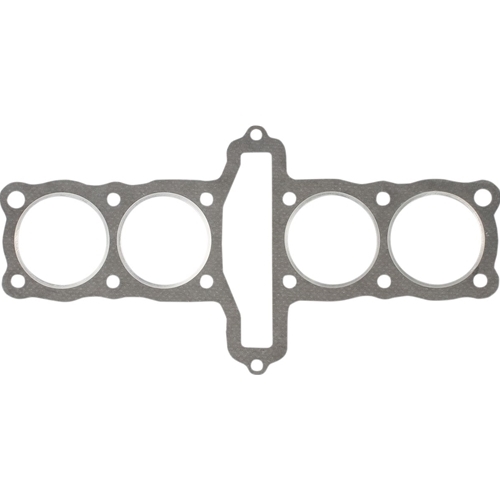 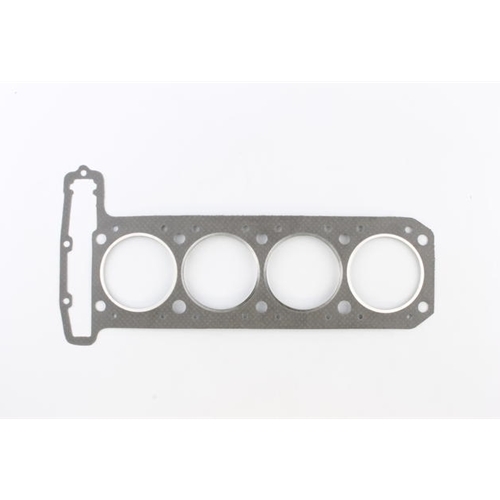 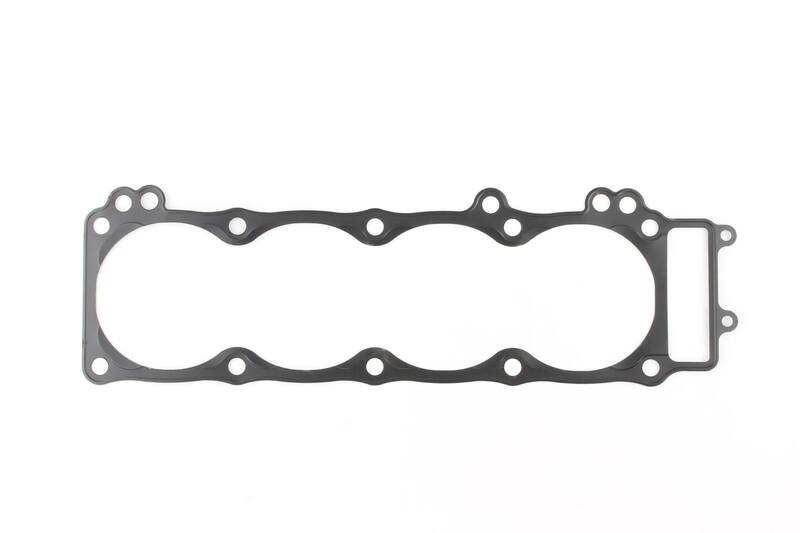 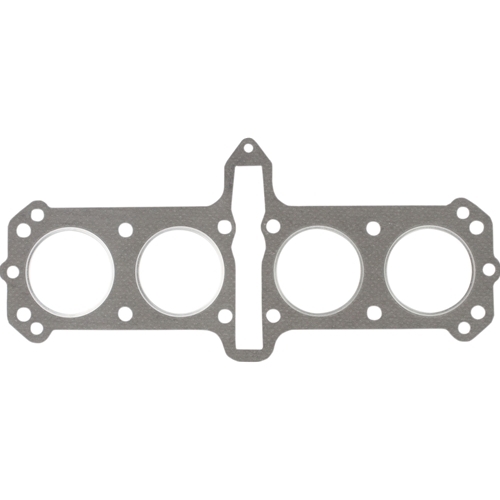 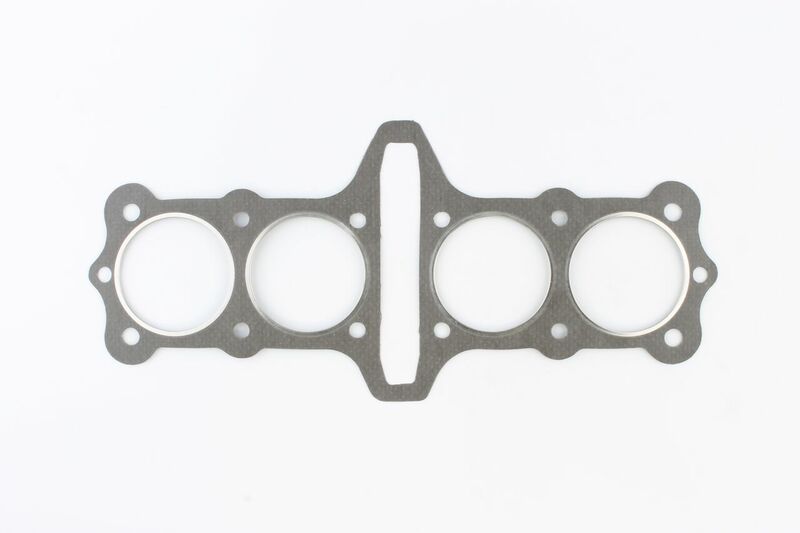 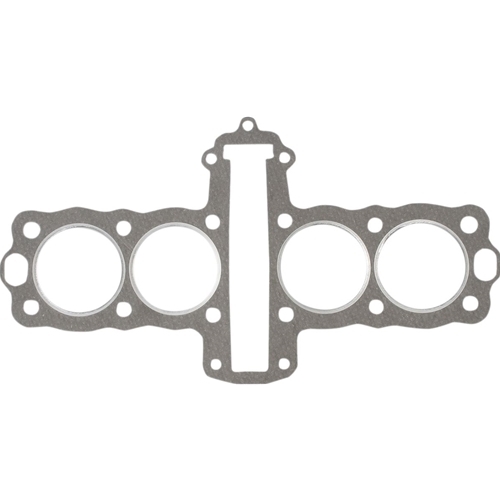 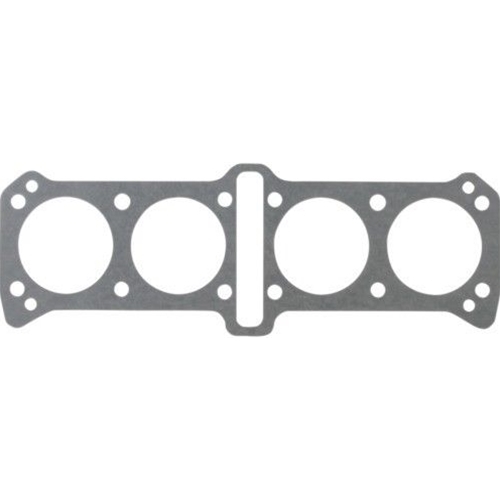 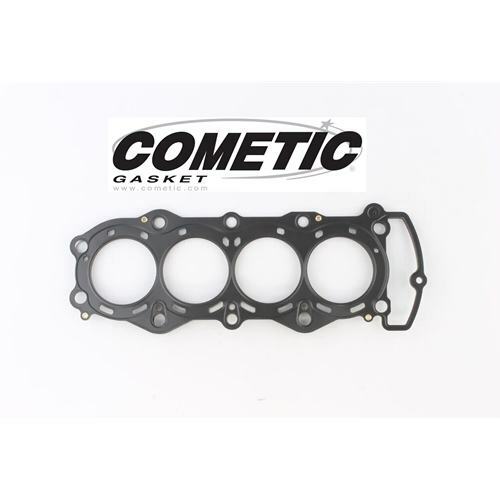 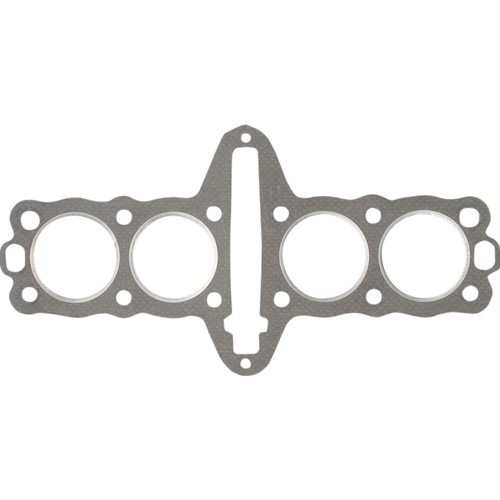 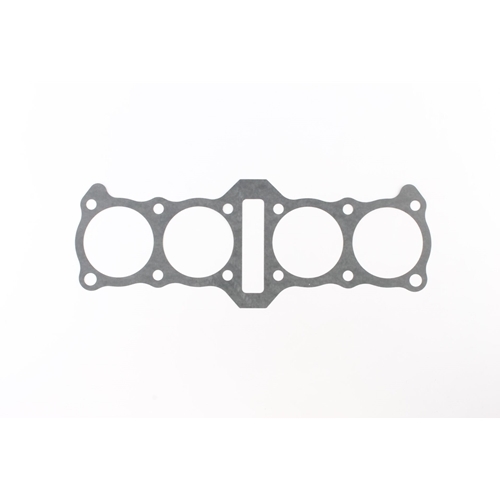 Cometic Head Gasket - #C8351 FJ 1100 1200/78mm Bore/1219cc/0.030/MLS C.O.T. 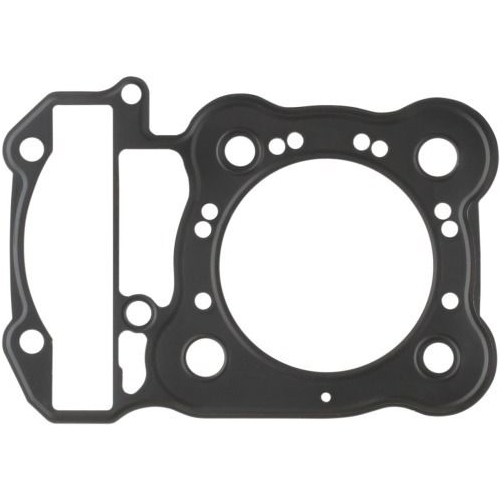 Cometic Head Gasket - #C8602 GSXR 750 00-05/GSXR 1000 01-08/76mm Bore/0.030/MLS C.O.T. 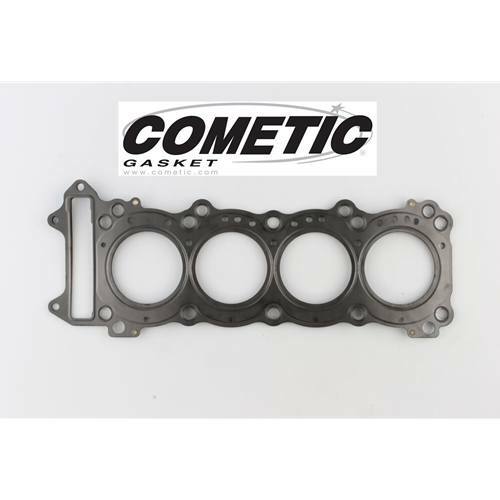 Cometic Head Gasket - #C8574-018 GSXR 750 00-05/GSXR 1000 01-08/74mm Bore/0.018/MLS C.O.T. 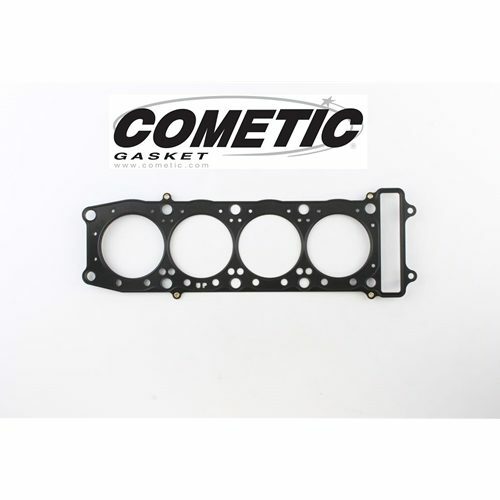 Cometic Head Gasket - #C8680-018 ZX 10R 1000 Ninja 04-05/76mm Bore/998cc/0.018/MLS C.O.T. 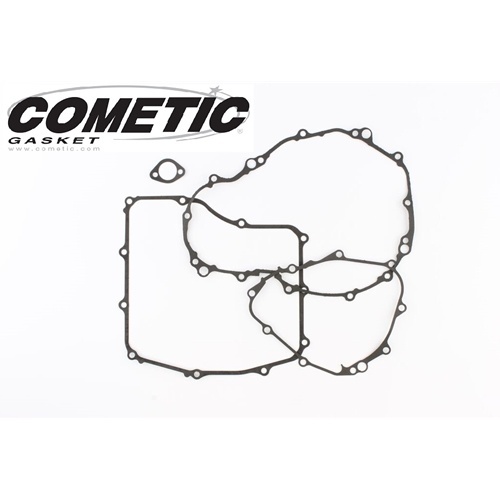 Cometic Head Gasket - #C8684 YZF 600 R6 03-05/68mm Bore/600-646cc/0.027/MLS C.O.T. 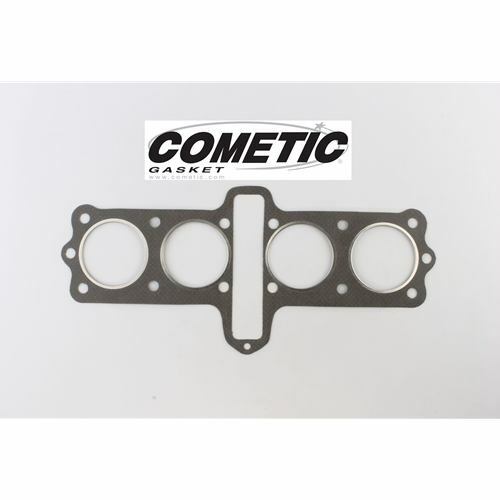 Cometic Head Gasket - #C8684-018 YZF 600 R6 03-05/68mm Bore/600-646cc/0.018/MLS C.O.T. 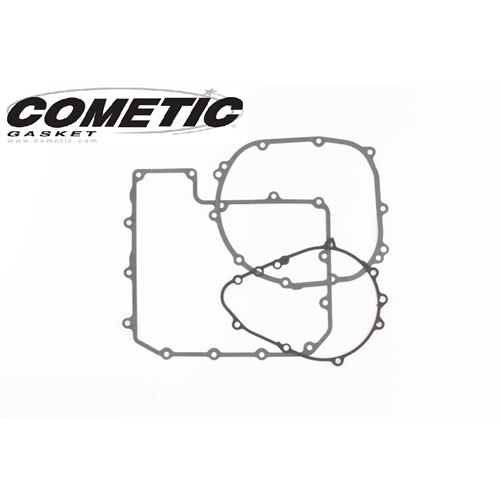 Cometic Head Gasket - #C8686 YZF 1000 R1 04-06/78mm Bore/998-1024cc/0.018/MLS C.O.T. 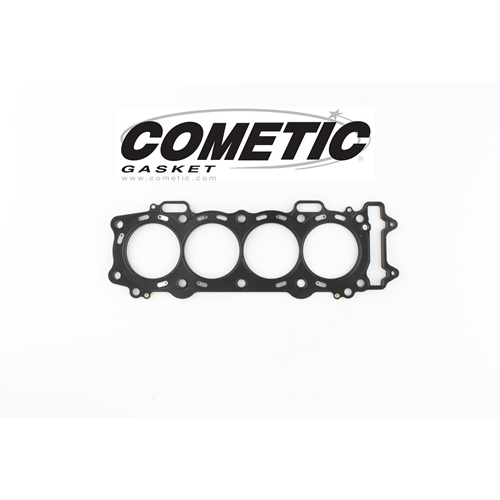 Cometic Head Gasket - #C8656 GSX 1300R 99-18/81mm Bore/0.030/MLS C.O.T. 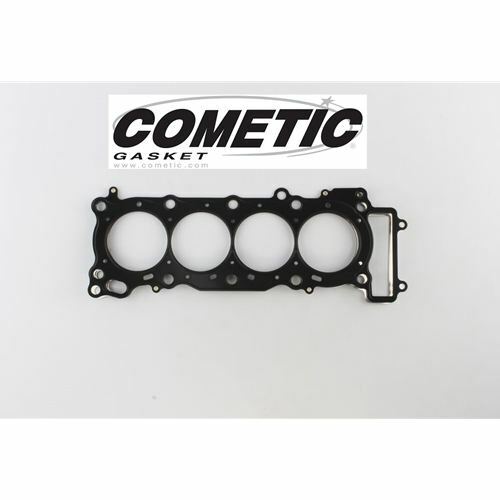 Cometic Head Gasket - #C8214-018 GSXR 750 00-05/GSXR 1000 01-08/75mm Bore/813-1043cc/0.018/MLS C.O.T. 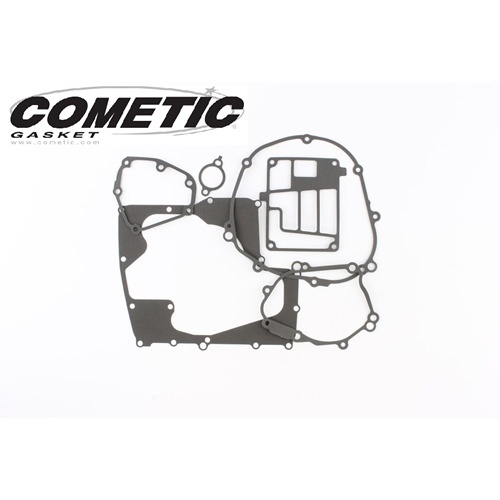 Cometic Head Gasket - #C8270 ZX 6R 600 Ninja 95-02/68mm Bore/617-636cc/0.030/MLS C.O.T. 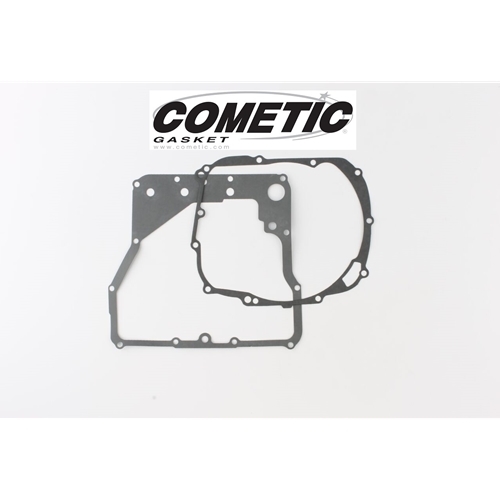 Cometic Head Gasket - #C8270-018 ZX 6R 600 Ninja 95-02/68mm Bore/617-636cc/0.018/MLS C.O.T. 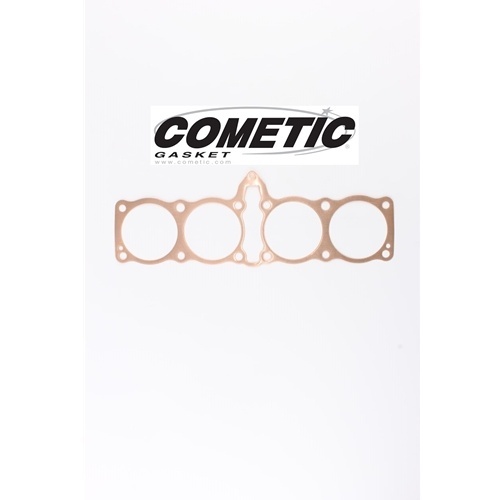 Cometic Head Gasket - #C8273-018 ZX 11 1100 Ninja 90-01/ZRX 1100 99-00/78mm Bore/1109cc/0.018/MLS C.O.T. 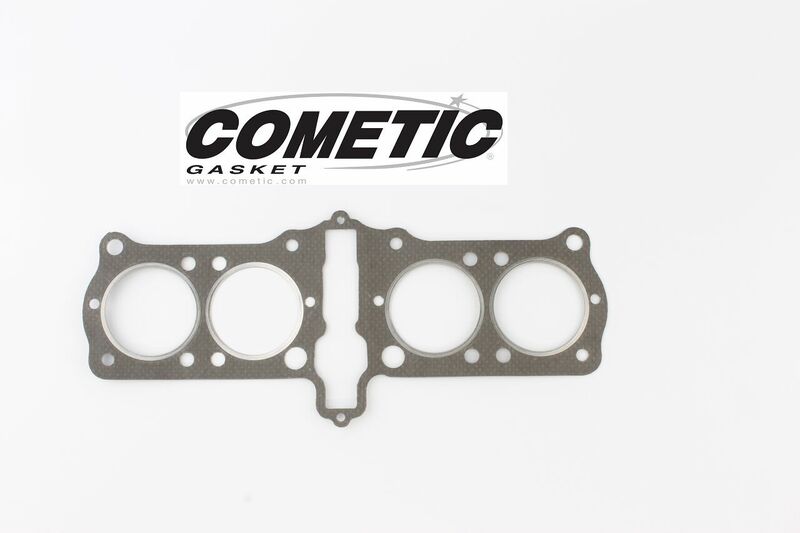 Cometic Head Gasket - #C8277 GSXR 1100 86-88/RF 900 94-98/78mm Bore/1045-1109cc/0.030/MLS C.O.T. 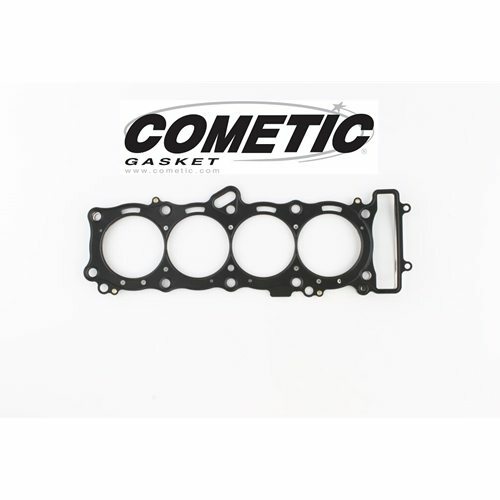 Cometic Head Gasket - #C8278 GSXR 1100 86-88/83mm Bore/1255cc/0.030/MLS C.O.T. 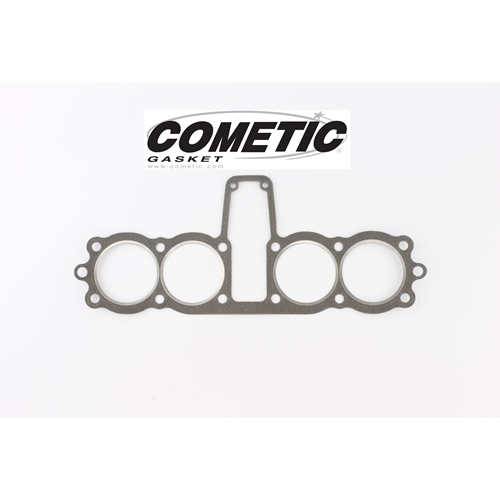 Cometic Head Gasket - #C8280 GSXR 1100 93-98/77mm Bore/1074-1117cc/0.030/MLS C.O.T. 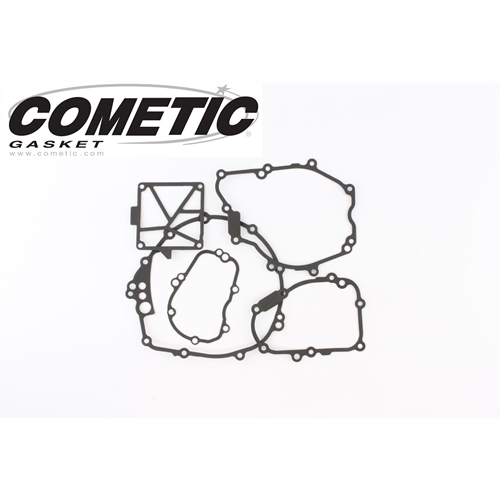 Cometic Head Gasket - #C8281 GSXR 1100 93-98/79.5mm Bore/1192cc/0.030/MLS C.O.T. 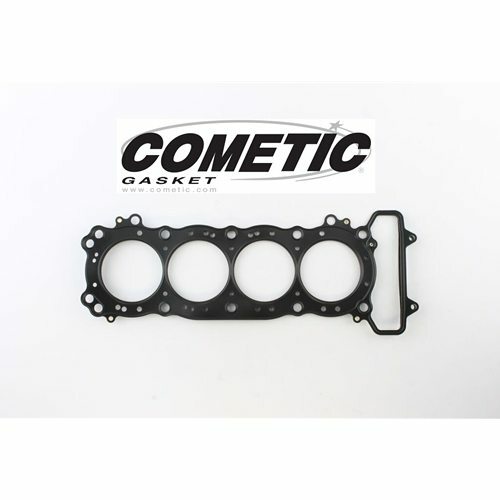 Cometic Head Gasket - #C8663-018 GSXR 750 00-05/GSXR 1000 01-04/73mm Bore/770-988cc/0.018/MLS C.O.T. 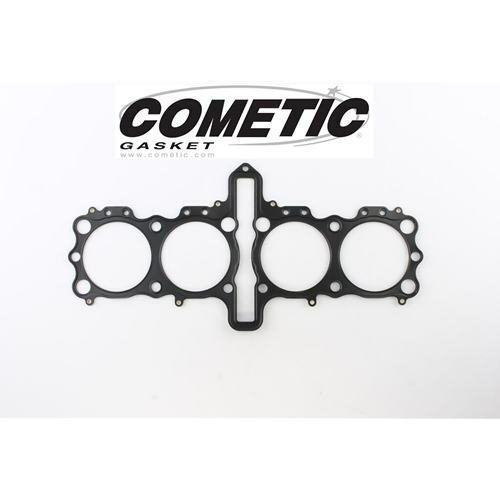 Cometic Head Gasket - #C8428-018 ZX 7R 750 Ninja 96-03/73mm Bore/750cc/0.018/MLS C.O.T. 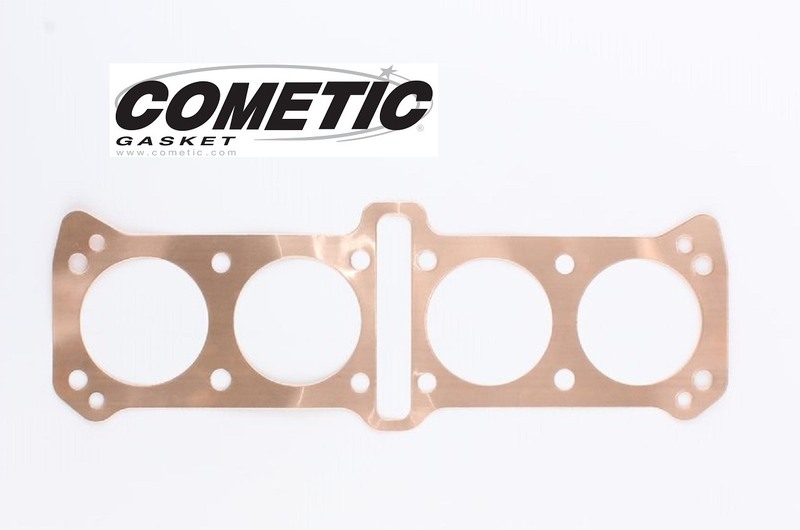 Cometic Head Gasket - #C8429-018 ZX 7R 750 Ninja 96-03/75mm Bore/795cc/0.018/MLS C.O.T. Cometic Head Gasket - #C8658 GSX 1300R 99-18/84mm Bore/0.030/MLS C.O.T. 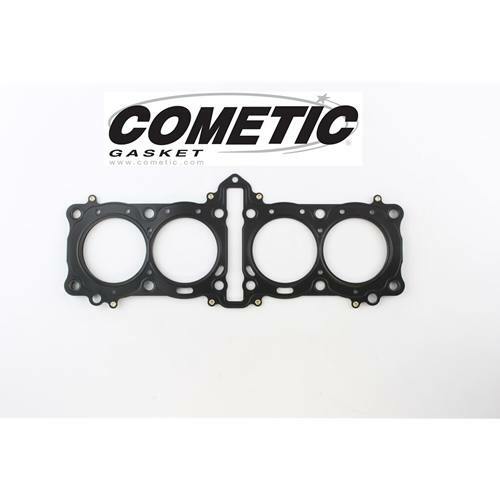 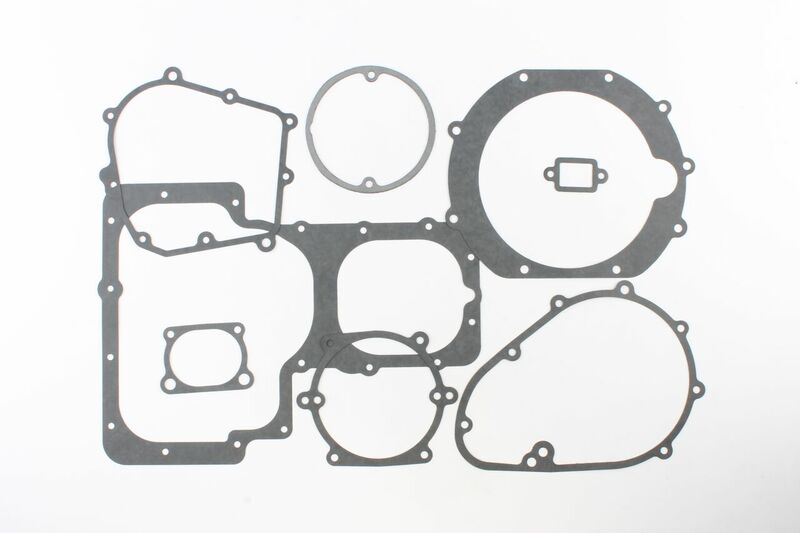 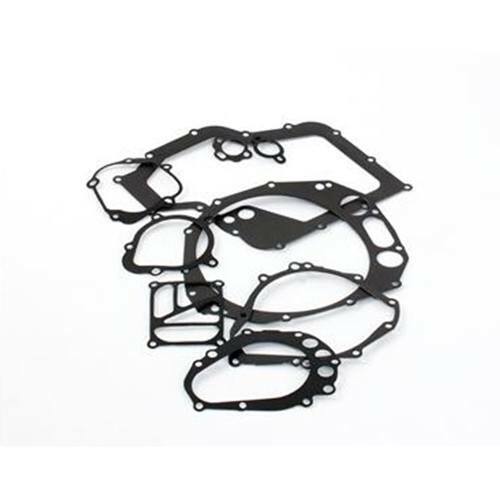 Cometic Head Gasket - #C8302-018 GSXR 600 06-18/68mm Bore/600cc/0.018/MLS C.O.T. 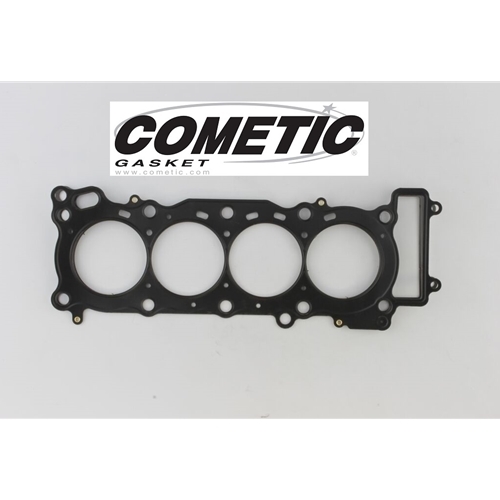 Cometic Head Gasket - #C8632-018 GSXR 600 04-05/67mm Bore/600cc/0.018/MLS C.O.T. 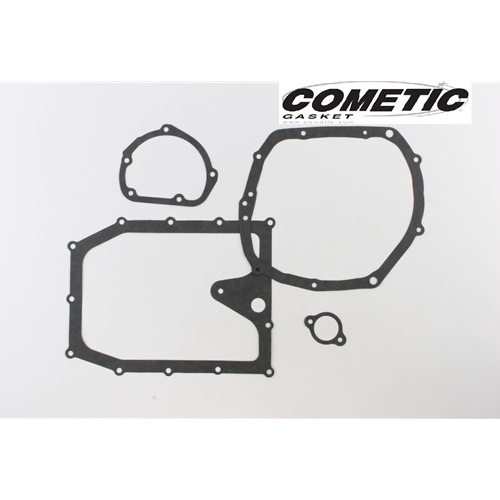 Cometic Head Gasket - #C8641 ZX 12R 1200 Ninja 00-05/86mm Bore/1287cc/0.030/MLS C.O.T. 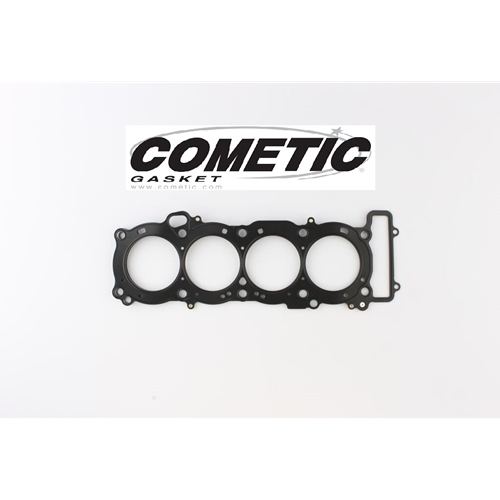 Cometic Head Gasket - #C8641-018 ZX 12R 1200 Ninja 00-05/86mm Bore/1287cc/0.018/MLS C.O.T. 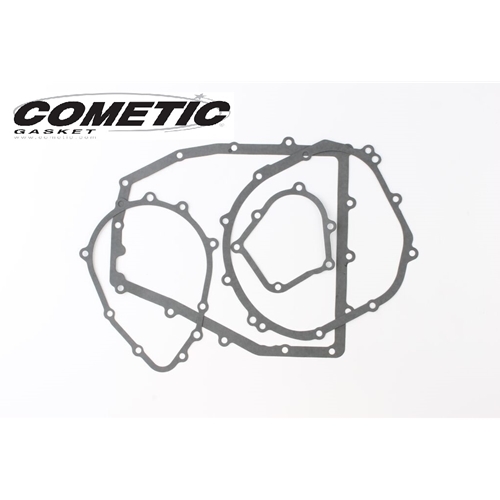 Cometic Head Gasket - #C8642 ZX 12R 1200 Ninja 00-05/83mm Bore/1199cc/0.030/MLS C.O.T. 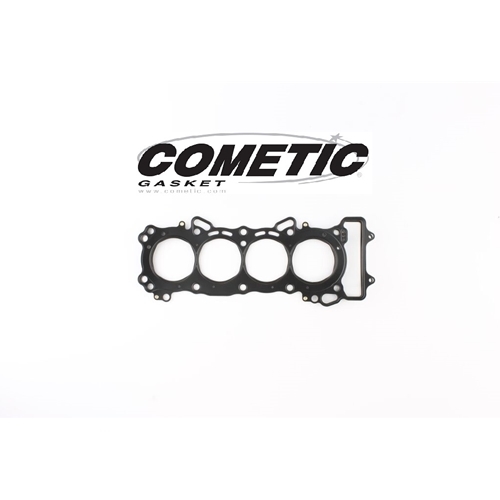 Cometic Head Gasket - #C8642-018 ZX 12R 1200 Ninja 00-05/83mm Bore/1199cc/0.018/MLS C.O.T. 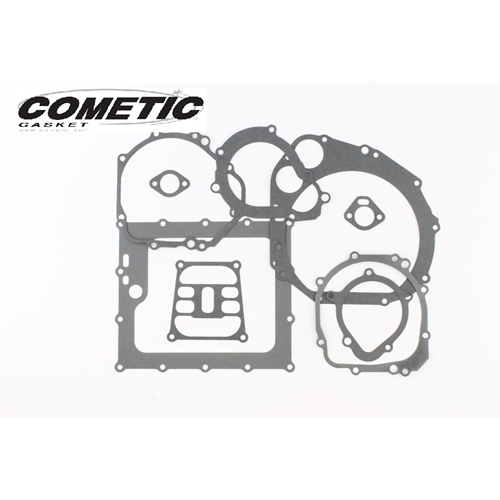 Cometic Head Gasket - #C8643 ZX 12R 1200 Ninja 00-05/85mm Bore/1257cc/0.030/MLS C.O.T. 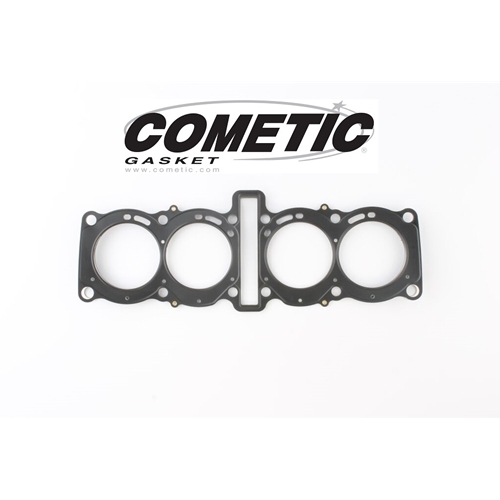 Cometic Head Gasket - #C8643-018 ZX 12R 1200 Ninja 00-05/85mm Bore/1257cc/0.018/MLS C.O.T. 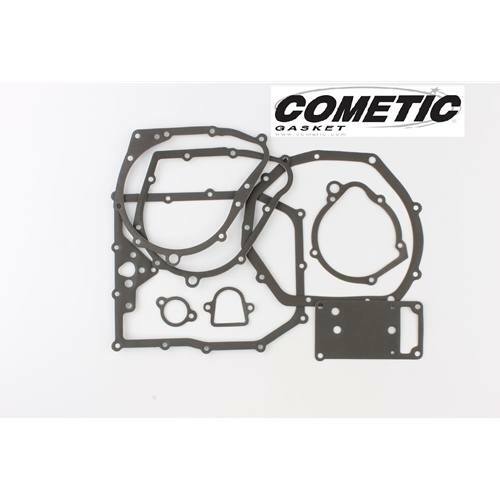 Cometic Head Gasket - #C8644 GSXR 600 01-03/68mm Bore/625cc/0.030/MLS C.O.T. 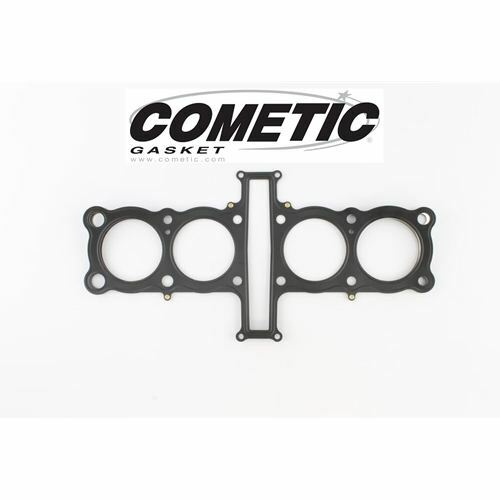 Cometic Head Gasket - #C8644-018 GSXR 600 01-03/68mm Bore/625cc/0.018/MLS C.O.T. 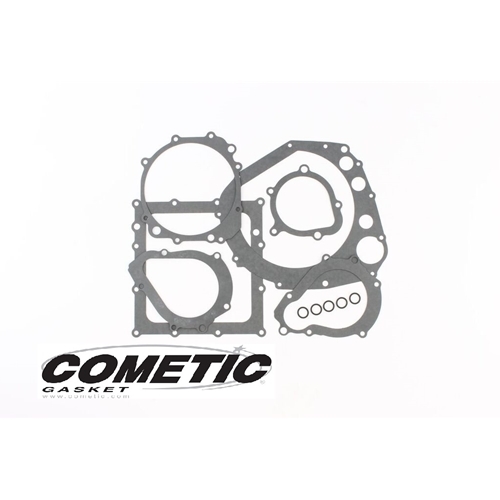 Cometic Head Gasket - #C8645 GSXR 600 01-03/69mm Bore/640cc/0.030/MLS C.O.T. 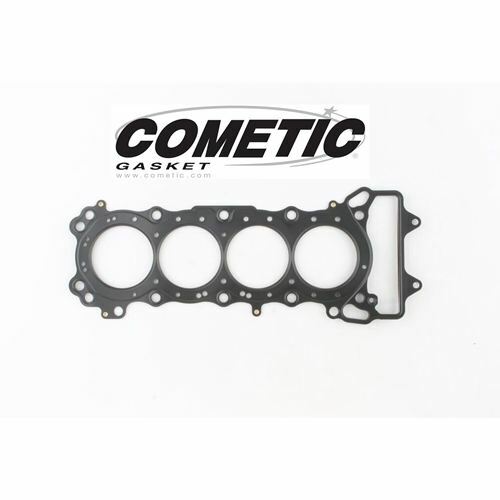 Cometic Head Gasket - #C8645-018 GSXR 600 01-03/69mm Bore/640cc/0.018/MLS C.O.T. 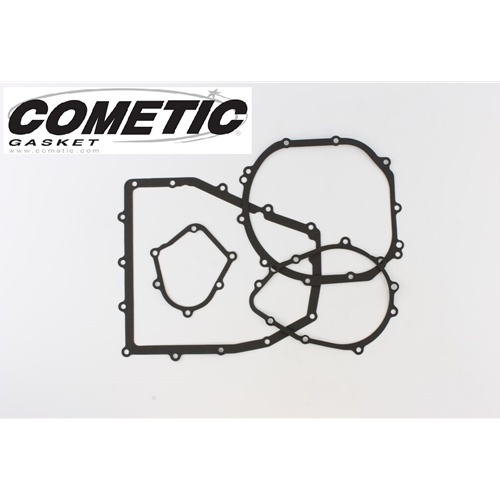 Cometic Head Gasket - #C8646 GSXR 600 01-03/70mm Bore/660cc/0.030/MLS C.O.T. 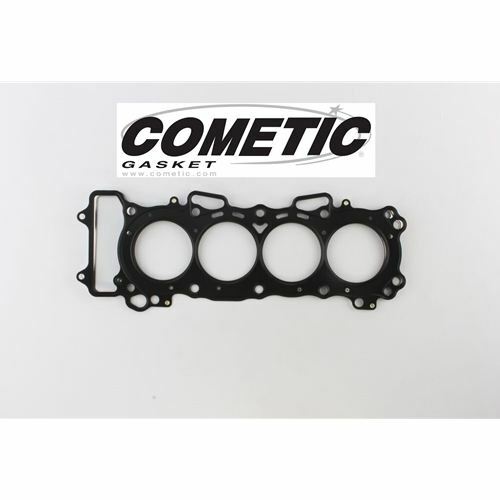 Cometic Head Gasket - #C8646-018 GSXR 600 01-03/70mm Bore/660cc/0.018/MLS C.O.T. 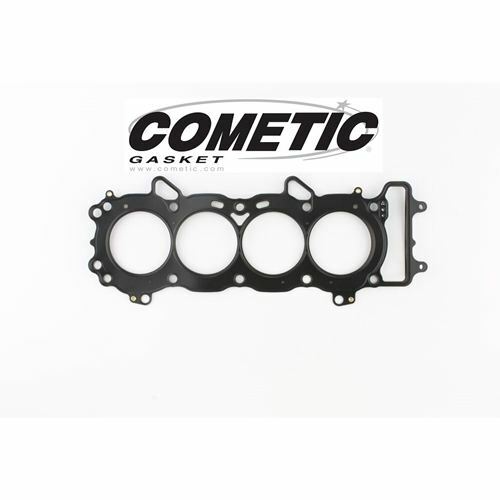 Cometic Head Gasket - #C8656-018 GSX 1300R 99-18/81mm Bore/1299cc-1340cc/0.018"/MLS C.O.T. 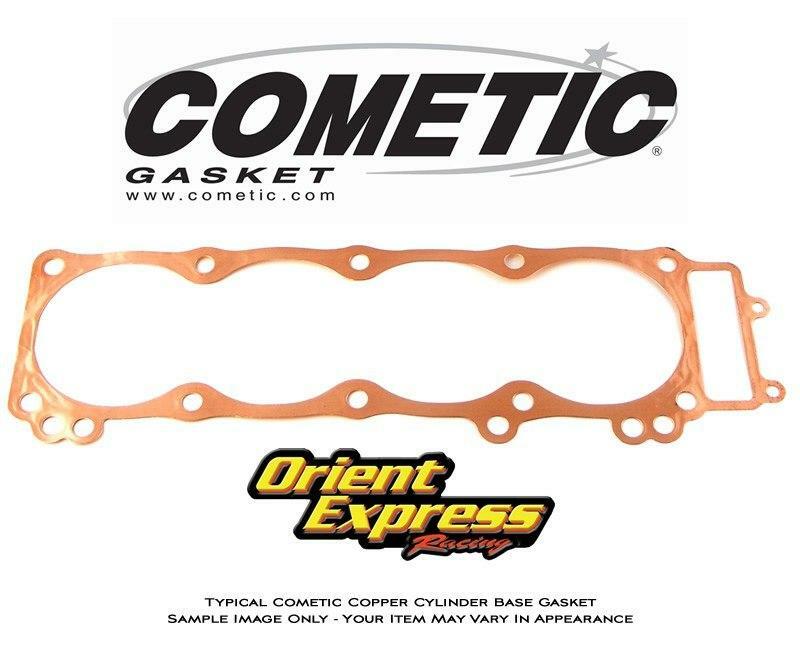 Cometic Head Gasket - #C8657 GSX 1300R 99-18/83mm Bore/0.030/MLS C.O.T. 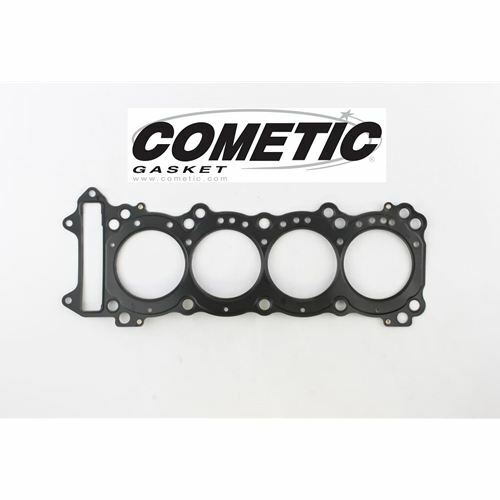 Cometic Head Gasket - #C8657-018 GSX 1300R 99-18/83mm Bore/0.018/MLS C.O.T.